Are you thinking about which type of roof you’d like on your home? If so, cedar shake roofs are a great option. They can provide your home with a more rustic look and last for many years to come. Before you settle on a cedar shake roof, though, you should take the time to learn more about them. 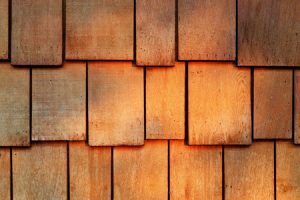 Here is some important information on cedar shake roofs. They’re more beautiful than regular asphalt shingle roofs. There’s absolutely nothing wrong with installing an asphalt shingle roof on your home. There are plenty of benefits to going with one. Nevertheless, if you’re looking for a roof that’ll improve the overall appearance of your house and make it more beautiful, you really can’t go wrong with a cedar shake roof. They’re designed to last longer than shingle roofs. In addition to giving your home a better appearance than an asphalt shingle roof, cedar shake roofing will also last a lot longer than asphalt shingle roofing will. On average, you can expect to get about 10 more years of life out of one. They’re built to survive severe storms. Part of the reason why cedar shake roofs last so long is that they’re nearly indestructible. If your home is routinely subjected to bad rain, hail, or snow storms, you can count on a cedar shake roof to stand up to them. It’ll also be able to stay put in high winds and provide your home with all the protection it needs. They’ll make your home more energy efficient. Cedar shake roofs will do more than just look good and last for a long time. They’ll also cut your energy costs every month by making your home more energy efficient. Hot and cold air won’t be able to escape up through your roof when you have a cedar shake roof in place. If you would like to find out more about whether or not a cedar shake roof would be right for you, reach out to Roofing by Bruce for a consultation. Call us at 570-424-8891 today to hear all about our roof installation and repair services.